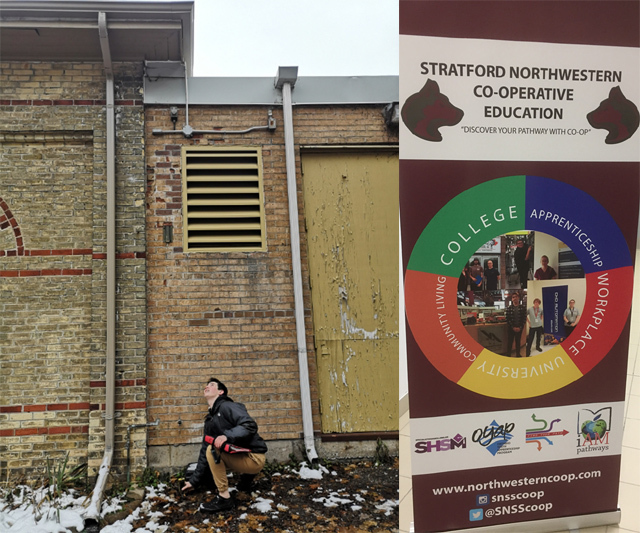 NA Engineering Associates Inc. is proud to have supported the Stratford Northwestern Co-operative Education Program. Over the past 2 years, Logan a grade 12 student, has been a part of the NA Engineering Associates Inc. team working to achieve his co-op credits. Logan has been involved with drafting using AutoCAD, field measure observation activities, and office functions to mention a few. Under the guidance of our experienced staff members, Logan has been able to gain valuable experience and has certainly made great strides since being a part of the NAE team. The future looks bright for Logan!